Jennifer Javornik is a technology sales executive for an educational video game studio where she is constantly surrounded by creativity and inspiration. She recently retired from a 15-year professional career as an improv comedian where she worked a tough 5:30pm family show crowd every week but learned a thing or two about storytelling. 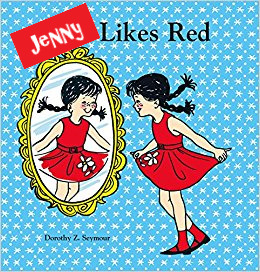 Her favorite story book growing up was "Ann Likes Red" which her dad read to her as "Jenny Likes Red" (even though no one ever called her Jenny). She relished in the fact that she was the star of her own story book until she discovered otherwise (darn, that reading thing!). The first book in this series has the main character in a red dress and she literally just realized why.